Headlines, links and little stories to make your tail wag. Tips: patch.ofurr@gmail.com. Thanks to Dronon for editing help! Furry Media Events have never been so frequent! Big stories come in clusters. A blog reports something, more blogs catch on, and the story trades up to syndicated news. In Furry fandom, that used to happen maybe once a year… and that could be predictable stories about Anthrocon. Dogpatch Press is only 2 years old, but there’s been a noticeable spike. There was the chlorine attack at MFF. #TonyTigerGate hit the “weird news” section. Not 6 weeks later, there’s THREE in the same week – Zootopia marketing to Furries; Syrian refugees at VancouFur; and notices for the Fursonas documentary. It’s so much that you get two Newsdumps this week. Soon: “all the controversy in the media”. The pace makes it hard to keep up with the Year Of Furry! It blew up with a Buzzfeed column full of fetish-snark: Proof Disney Is Actually Marketing “Zootopia” To Furries. Zootopia on WikiFur: Media notice and controversy about marketing to furries. Furry artist Joe Rosales posted a retrospective about how Disney influenced the Californian side of Furry Fandom in its formative years, including early fursuiting. (Dronon comments:) Not only Robert Hill, also Ed Kline. Unnamed animator is undoubtedly Shawn Keller, he was the first fandom fursuiter. Skunk was not his first suit; that was actually Chip and Dale – one suit, but easy to change the costume to be one or the other because they looked so much alike. I heard a rumor from Robert King that an anatomically-correct canine fursuit wandering openly at CF6 or 7 (which I saw) might have also been Keller to deliberately piss people off, just a few years before his attack comics and flash animations. Rosales also skips over the huge influence of the Disney weekday afternoon cartoons in the late 80s through the mid-90s, plus The Lion King movie in 1994. That was a gigantic thing in the fandom. A number of animators were briefly in Vootie and Rowrbrazzle, usually just a page or two here and there. Tim Fay can rattle off a whole bunch of names. Rod O’Riley preparing another “Art of Furry Fandom” gallery show in Southern California. Rod is one of the founders of furry fandom, and co-host of the Prancing Skiltaire meet. Previous shows were written up for Flayrah. Once again we are hosting an Art of Furry Fandom display at a Gallery in Santa Ana (CA) through the month of May. We are seeking out framed art to show, but we need to receive it by the middle of April. If you’re interested, we would love to have you be a part of this! Please let me know if you can. Syrian refugees meet fursuiters at Vancoufur. Conspicuously absent – the Canadian Broadcasting Corporation. Kyell Gold summarizes the fandom in Uncanny Magazine. If you’re looking for a way to introduce the fandom to people who are fans of science-fiction and fantasy, furry novelist Kyell Gold has written an excellent description of some of the basics. Tempe O’Kun reports from Brazil. 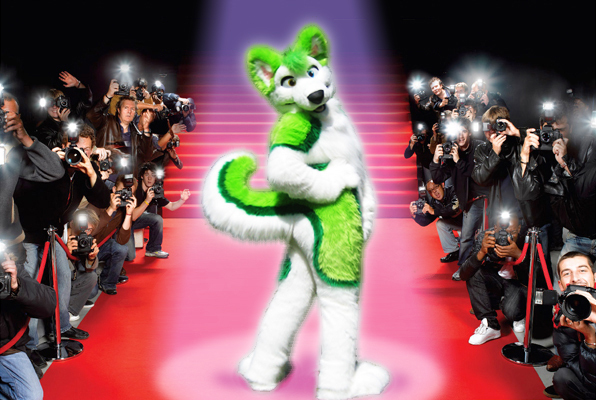 Abando, Brazil’s first furry convention, will not be continuing. Still, there’s a nice little con report by Tempe O’Kun. To replace Abando, the organizers of the local bowling meet intend to start a new convention called Brasil FurFest. Disney’s DuckTales will be coming back! 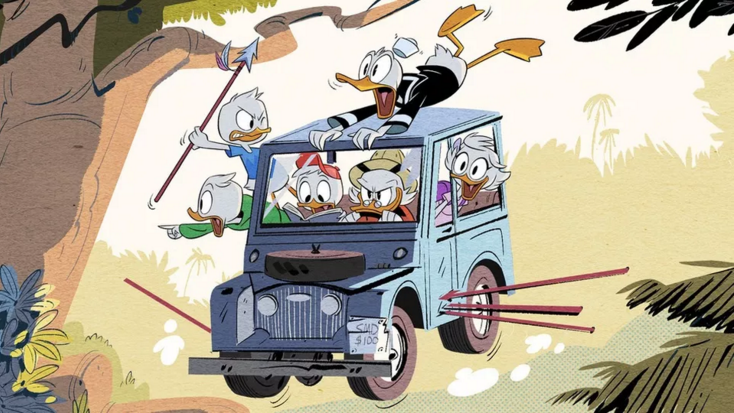 We have our first look at an image made for the revival of Disney’s DuckTales cartoon, which should be premiering in 2017! AMAZING FURRY NEWS COMING SOON – Obama Declares National Furry Day In #7! The Furry Gang Menace: Are Your Teens Being Pressured To Draw Cartoons And Give Hugs? Dangit, snail mail! Where is my order of popcorn? ?